The collaborations begin today with the signing of agreements with three state governments—Karnataka, Telangana and Andhra Pradesh—and are planned to widen to several other states in the next few months. 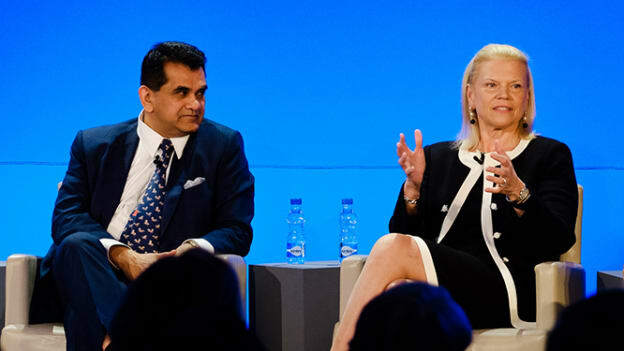 IBM announced significant collaborations across India that will advance the skills and careers of more than 200,000 (2 lakh) female students in Science, Technology, Engineering and Math (STEM) fields. The demand for a highly qualified workforce in India is quickly increasing with the acceleration of emerging technologies like Cloud and AI. Each collaboration between IBM and Indian state governments is part of a three-year programme to increase the participation of girls and women in STEM careers. They feature a comprehensive approach that builds technical capabilities as well as life and self-actualization skills. The programme will equip women with the skills of the future to help drive the economy of the next decade. The new programme is one of several initiatives announced at the IBM India Skills Forum hosted in New Delhi today. Together, these efforts have the potential to improve the skills and careers of more than 1 million female students and provide education resources to more than 4 million teachers over three years. The need to provide the right learning opportunities was also confirmed by Amitabh Kant, CEO of NITI Aayog, the National Institution for Transforming India.